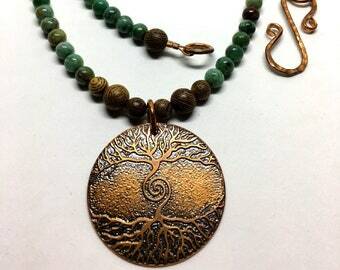 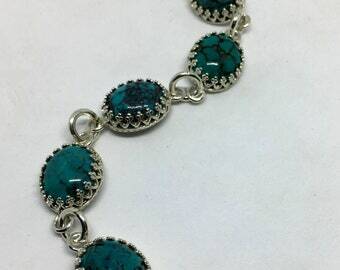 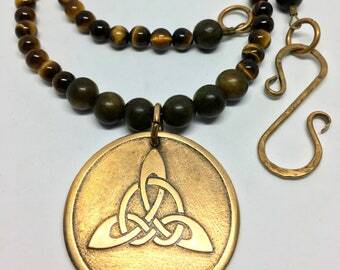 A handmade necklace made from the high quality materials, to last a lifetime. 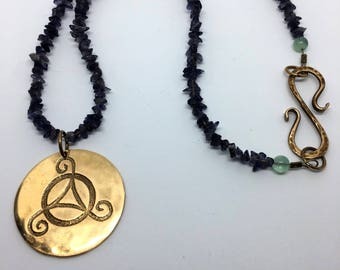 Beaded with natural Rainbow Fluorite & Amethyst nugget gemstone beads, warm toned aged copper and the strongest beading wire on the market; 49 Strand braided stainless steel with a copper hued nylon coating, and has been double crimped for added durability. 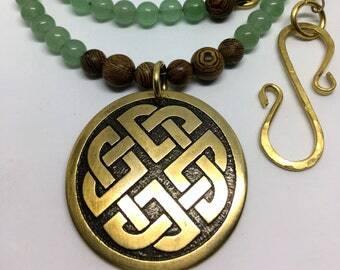 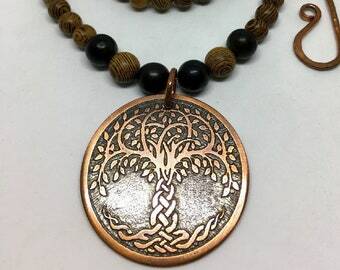 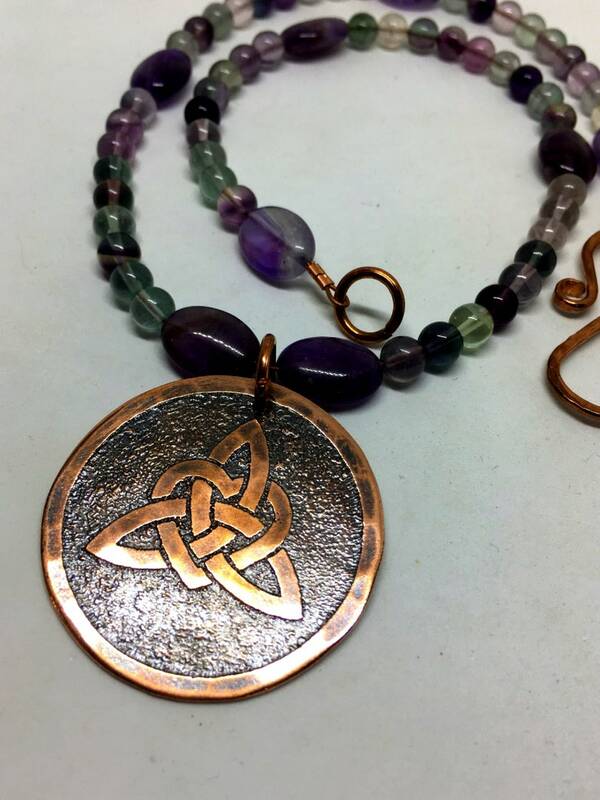 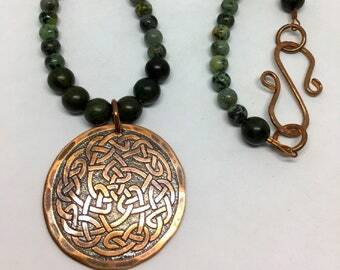 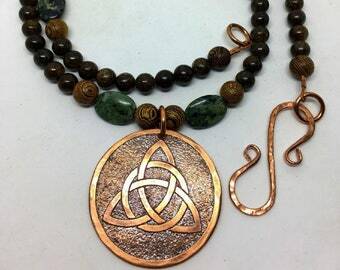 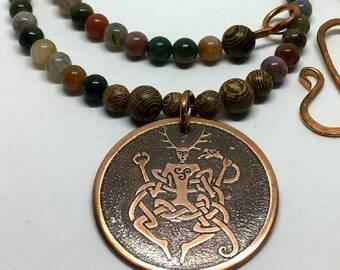 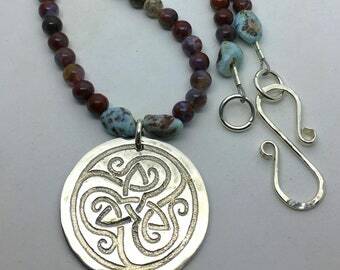 The pendant is solid Copper that has been etched with a heart intertwined with a Celtic Knot which is also known as a Triquetra.